Spoleto and Piccolo Spoleto 2018 are here! This year marks the 42nd annual event, originally introduced in 1977 by Pulitzer Prize-winning composer Gian Carlo Menotti, Christopher Keene, and others who sought to create an American counterpart to their annual “Festival of Two Worlds” in Spoleto, Italy. The festival celebrates music and arts in various capacities featuring upcoming and well established artists. Charleston was chosen as the sister city to this event in Spoleto, Italy because of its abundance of performance venues as well as its universal appeal to visitors while providing an intimate setting. Picollo Spoleto celebrates the same humanities of Spoelto, yet offers patrons admissions at nearly half the price or free, ensuring availability to all whom are interested. May 25 & 26: John Batiste with Stephen Colbert and the Dap-Kings – This event is being held at the Cistern Yard on the College of Charleston Campus. Easily one of the most beautiful backgrounds for an event in the Holy City. June 2: Ranky Tanky – I cannot wait to see this show! The music combines the sounds of the low country with Jazz, Gospel and R&B and has been top of the iTunes and Billboard Jazz Chart. Not to mention, my husband (shameless brag), recorded, engineered and mixed this album. This show is also at the Cistern Yard. May 29: Angels – The Soprano and Alto singers of the Westminster Choir perform Choral Hymns from the Rig Veda at St. Matthews Lutheran Church in candlelight. June 5: Brahms’ German Requiem – I love Brahms! My first symphony show was a performance of Brahms Lullabies at the War Memorial Auditorium in Nashville. Brahms is among my favorite composers. June 1: Let’s Groove: The Music of Earth, Wind and Fire Featuring Quiana Parlor – This show is at the Charleston Music Hall and is going to be funky and fun. May 30: The Virtuoso Violin – Pieces on the Violin by the likes of Vivaldi, Fontana and Castello in St. Phillips Church. May 29: Viva Vivaldi – If you are unfamiliar with Vivaldi, think back to your Looney Tune days and remember Bugs Bunny’s most dramatic moments. Vivaldi was instrumental (no pun intended) in orchestrating those scenes and will certainly do the same during this show in St Phillips Church. 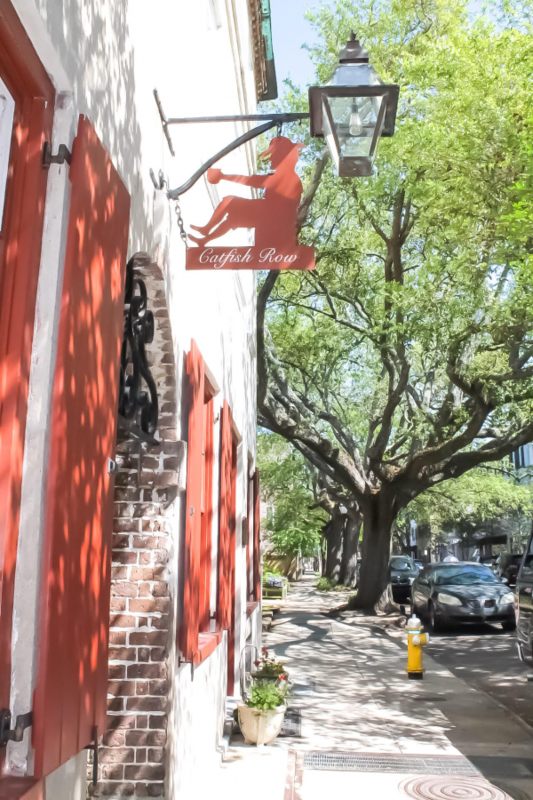 June 1: A Journey Along Catfish Row, The Story of Porgy and Bess – It isn’t a Spoleto event without a little Gershwin. This event is hosted by the Preservation Society of Charleston and will showcase the story of this great, American opera! It’s really hard not to have a list of events a mile long. Everywhere you turn, talent is dripping. What events are you most looking forward to?